Hospice at Home Volunteers provide practical, social and emotional support to both clients and their carers. Our Volunteers offer a free service that provides strength and encouragement at a difficult time. We offer practical help where it is needed during the illness and beyond. 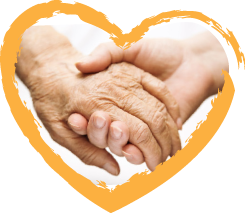 As volunteers we do not replace or take over the care or the support provided by the statutory services, nor do we provide direct personal nursing care or domestic services. All our volunteers are fully trained and are CRB checked before visiting the patient. Once you are referred to us, our Co-ordinator makes an initial visit to assess your individual needs or those of your carer. A volunteer will be introduced and during each visit he or she will provide the service mutually agreed.